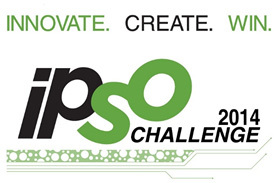 The IPSO Challenge 2014 has started! The IPSO Alliance CHALLENGE 2014 is a competition initiated and organized by the alliance. The purpose of the Competition is to promote concepts and benefits of the Internet of Things and Internet Protocol based Machine to Machine (M2M) applications, seeking innovative developments and value added services that could be utilized and commercialized in the open market. The IPSO Alliance is a non-profit association that promotes the use of the IPv6 communication standards for the Internet of Things (IoT), with the scope to ensure the interoperability between distributed and heterogeneous Smart Objects, and to converge towards the standardization of the different communication protocols. ISMB, as member of the IPSO Alliance, is directly involved in the organization of the competition, offering support to increase the visibility of the initiative and to promote innovative ideas related with the IoT concept. All submitted solutions will be judged and the three best submissions will receive official competition awards. Please check the rules to participate the challenge: http://www.ipso-alliance.org/challenge/ipso-challenge-2014-rules.